Lulu Hypermarket will launch Taste of the World promotion for customers and food lovers. 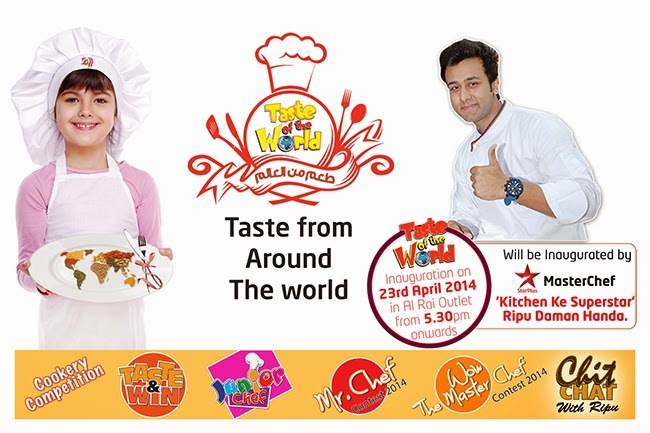 The promotion will feature cookery competition in Rai outlet. Beside that, a series of live cooking of cuisines from around the world will be presented in Rai, Qurain and Dajeej outlets that includes Arabic, Italian, Chinese, Continental, Filipino, Japanese, Indian and Thai food. The event officially begins from 23 April until 3 May, with cookery competitions in a variety of categories starting from today 19 April. For details and entry forms, daily events and timings visit Lulu's website, see link. *The daily events, location and timings are mentioned in the entry forms on the link.